The DIY trend has taken over everything from home decor to car repairs to clothing design. And now, the DIY trend is making its way through the field of orthodontics with DIY braces. The recent DIY trend of creating your own braces was sparked by a video posted on YouTube when a young teen demonstrated how she closed her gap using rubber bands she purchased from the drug store. The video became popular and other similar videos followed. New businesses even started selling “gap” bands online. However, many who tried the DIY technique soon discovered the hard way that using bands to straighten teeth is a very bad and painful idea. Not only is the act of using bands to straighten teeth a bad idea. It’s a very, very bad idea. Using elastic bands or “gap” bands can cause permanent damage. As pressure from the bands moves up the tooth, they begin putting pressure on the root. In many cases, this has caused the tooth to come out completely. There are also many cases out there where the bands have slipped from the tooth and moved under the gums requiring surgery and even removal of the tooth in some cases in order to remove the bands completely. 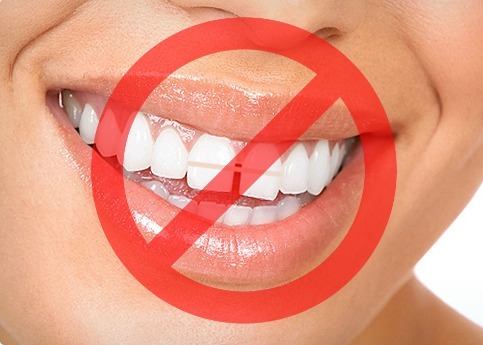 In addition to tooth loss, using bands to straighten your teeth can have other negative effects. This trend has become so concerning to dentists around the country that the American Journal of Orthodontics has issued a consumer alert on the use of the “gap” bands in an effort to educate people on the dangers and prevent serious problems from occurring. Meeting face-to-face with a dentist that has advanced orthodontic training and experience is more important than you think. They can take x-rays, assess the degree of your overall oral health, and take note of any major issues such as an extreme overbite. This helps the dentist put together a special treatment plan that is just right for you. During the course of the orthodontic treatment, you will have regular face-to-face visits so that your dentist can make any necessary adjustments. Having face-to-face time is important for many different reasons. Dentists with advanced orthodontic training and experience go through years of school in order to give each patient the precise treatment they need to straighten their teeth. Each person is different; therefore, each treatment is different and seeing you in person is the only way to make sure your treatment is doing what it needs to do to create a beautiful smile. Remember, you only get one set of adult teeth, so take care of them. If you would like to learn more about the process of braces and what that would look like for you, please contact our office today at (870) 424-5900 or click Request an Appointment. We would be happy to schedule your no cost initial orthodontic evaluation and get you on the path to a straighter smile.